I know it's another Halloween pic but I couldn't go this week without showing this sweet photo of my gorgeous little H with his 'perfect pumpkin', as he called it. This was taken at the fabulous Willows Farm in Hertfordshire, a place we love to visit regularly. Each year they have a huge field which they cultivate for pumpkins. The seeds are planted in May and by October they are ready to be harvested. It's a great place to visit all year but the Autumn half term at Willows is gloriously seasonal and there's something very magical about going into this hidden field for my children so they can choose a pumpkin each. We arrived at the patch the day before Halloween which meant many of the pumpkins had been picked already, so my kids really had to search..... It was rather late in the day and the sun was just starting to go down, making the search rather frantic but they absolutely loved the excitement of running all over the field trying to locate the biggest and best pumpkins they could find. It was a lovely day and H looks so pleased with his choice! 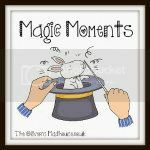 Filed Under: Days Out, Kids, Magic Moments, What's the Story? Great photo – not surprised you wanted to post it. Good to know too about a pumpkin patch in UK. so cute!! we’ve not been to willows farm yet – keep meaning to! hopefully will go soon! He does look really chuffed. You’d laugh if you saw the size of our two pumpkins! what a lovely adventure!! i love the fact you can actually go and pick your own! !